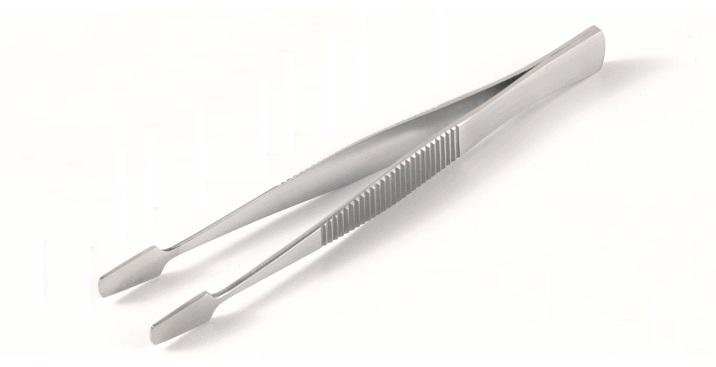 A variety of stainless steel forceps and tweezers, including Ring Tips that are ideal for gauze or swabs, Angled Flat Jaws for holding slides and other small flat plates, fine sharp tips, rounded tips, Balance forceps with curved or straight ends and Sprung forceps..
1000217	 Balance forceps, curved ends, AISI 304 stainless steel, electro-bright finish, total length 93 mm. 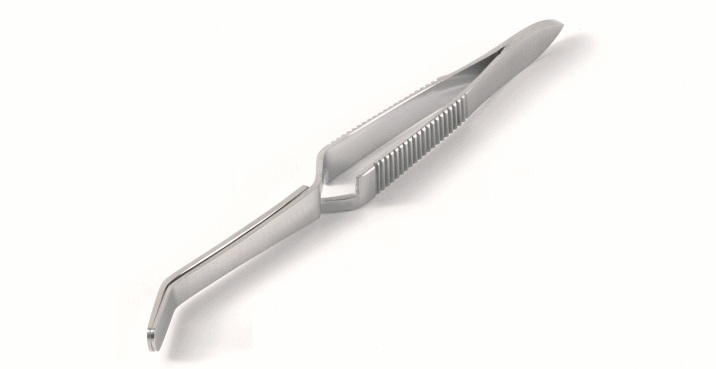 1000216	 Balance forceps, straight ends, AISI 304 stainless steel, electro-bright finish, total length 100 mm. 1000580	 Dissecting straight forceps with round tips, AISI 304 stainless steel, electro-bright finish, total length 140 mm. 1000801	 Dissecting straight forceps with fine tips, AISI 304 stainless steel, electro-bright finish, total length 140 mm. 1000865	 Dissecting curved forceps with round tips, AISI 304 stainless steel, electro-bright finish, total length 140 mm. 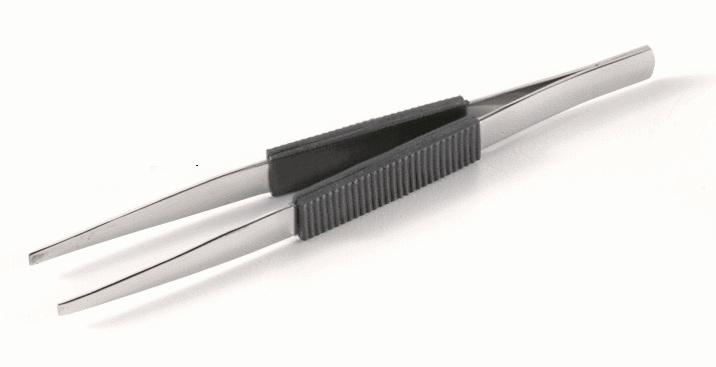 1000864	 Dissecting curved forceps with fine tips, AISI 304 stainless steel, electro-bright finish, total length 140 mm.